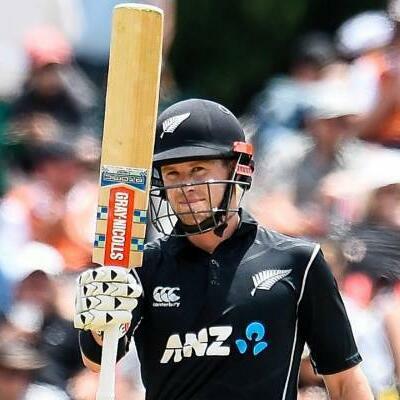 This podcast features Henry Nicholls, international cricketer for the New Zealand Black Caps and captain of the reserve A side. Henry has played cricket at a professional level from the age of 22 having begun his career playing first-class domestic cricket for his home province of Canterbury. In the years that followed he would be named to the New Zealand ODI team, and in 2016 debuted against Australia for the International Test Squad. Henry credits a structured’ ‘do the work’ approach to his cricketing success which has seen him go from a ‘player worth investing in’ (coach Mike Hesson) into a fully-fledged playmaker and regular for the Black Caps. From a professional standpoint, how did you get your mind working for you? “There was a moment for me before I scored my first test 100. I remember I had played 12 or 13 tests before that and hadn’t reached the century, and there was a lot of media noise and opinion about that which makes things difficult. I remember one game against South Africa, I went out and batted for 45 minutes, and scored 14 runs. I spoke to the head coach after and he asked me how I thought I went. I said to him honestly, I was really happy. There was a bit of bad luck in the last innings, getting caught out by a one hander but I felt happy with the way I was playing, and I felt if I kept playing that way, for every ball that came my way it would result in something down the line that would help the team get towards the goal we wanted. It was in the match after that, against a very aggressive South African attack that I got my first 100 and I don’t think that’s a coincidence.” “At this level everyone’s talent is similar. The mental side of things, especially the mindset is the crucial factor. I look at it as though yes success is great but how can I have more consistent success? For me it’s the processes that link my mental game and being committed to them, not just when you play or when you bat, but living them.” Henry has experience in mindset and performance at the highest levels of professional sport and is a keen advocate for living his values and his processes. If you’re interested in understanding high performance in a sporting context and how those same concepts can apply to all aspects of life, then listen to Henry’s podcast.